Apprenticeships provide you with the opportunity to “earn-while-you-learn”. They provide a direct and affordable alternative to university as a pathway to skilled jobs and careers. There are more than 200 different types of Apprenticeship across different industries and service sectors, including Business, Construction and IT. An apprentice will go through a programme combining on-the-job training in the workplace with an employer and off-the-job learning with a training provider. As they build up knowledge and skills and gain qualifications apprentices also get paid. Apprenticeships are for adults as well as young people. In England, anyone can apply for an Apprenticeship as long as they are aged 16 or over, are not in full-time education and are eligible to work in England. The National Apprenticeship Service (NAS) provides further information on eligibility. There are similar Apprenticeship systems in place in Northern Ireland, Scotland (where they are known as Modern Apprenticeships) and Wales. Intermediate Level (leading to NVQ Level 2 – equivalent to five good GCSE passes) – you may need to take a literacy or numeracy test before you are accepted onto an Intermediate Apprenticeship. Advanced Level (leading to NVQ Level 3 – equivalent to two A-level passes) – you may need five GCSEs or have completed an Intermediate Level Apprenticeship before you are accepted onto an Advanced Apprenticeship. Higher Level (leading to NVQ Level 4 – such as a Certificate of Higher Education) – you may need five GCSEs and two A Levels or have completed an Advanced Level Apprenticeship before you are accepted onto a Higher Apprenticeship. What about people who need extra help to gain an Apprenticeship? They are for 16- to 23-year-olds and young people with learning difficulty assessments up to the age of 25. They last between six weeks and six months and aim to help a Trainee make the transition into a job or Apprenticeship by developing their skills and allowing them to gain workplace experience. The specialists’ and professionals’ union Prospect has produced free app which lets you search for Apprenticeship jobs from the largest collection of apprentice vacancies available via an app in the UK. Download the app from Google Play or the Apple App Store. What should be included in a good Apprenticeship? All Apprenticeships must be at least a year long and lead to a national qualification. A competency-based qualification (such as an S/NVQ) demonstrating a skill). A Technical certificate (e.g. a BTEC) – demonstrating that you have the understanding and knowledge related to that Apprenticeship. Functional skills (Maths and English) qualifications or Key Skills (like working in teams, problem solving, communication and using new technology). Apprentices must be also be told about their rights and responsibilities as an employee. All apprentices (starting their apprenticeship on or after the 6 April 2012) must be employed under an Apprenticeship Agreement. This should be in the form of a written contract of employment or a “written statement of particulars”. As with any other employee, employers must carry out an assessment of the risks to apprentices’ health and safety and put in place measures to prevent or control any significant risks identified by this risk assessment. All apprentices must be paid at least the Apprenticeship National Minimum Wage (NMW) which applies to all 16–18-year-olds and to those aged 19 and over in the first year of their Apprenticeship. The government uprates this each year and publishes details of the current rate on its official website (www.gov.uk). All apprentices should have a minimum of 280 “guided learning hours” (GLHs) a year. GLHs are off-the-job learning away from your desk or workstation. The Apprenticeship NMW is the very minimum hourly rate you should receive and good employers will pay higher rates, particularly as you progress through your Apprenticeship. New apprentices should have a comprehensive induction (or introduction) to their new workplace and their new job. A good Apprenticeship programme will include additional support from a “mentor” or “buddy” or through a “peer support” system as well as from their line manager. This could be a trade union representative such as a union learning representative (ULR). 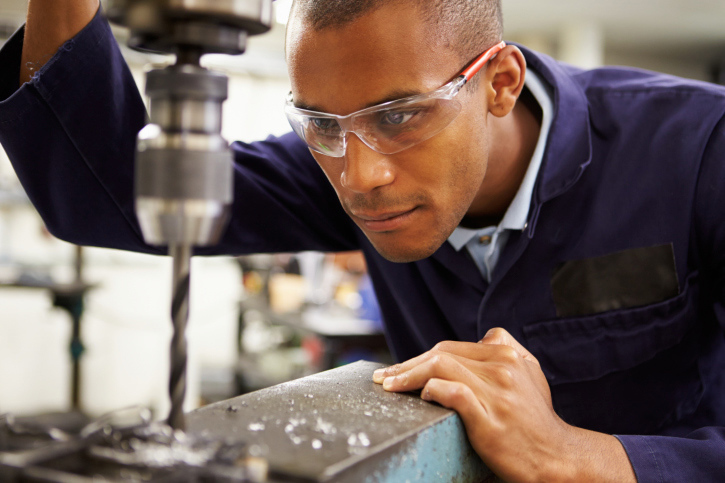 Apprentices should have the opportunity to join the company pension scheme.